She tied the knot with her longtime friend, Tonye Coker yesterday in Greece. 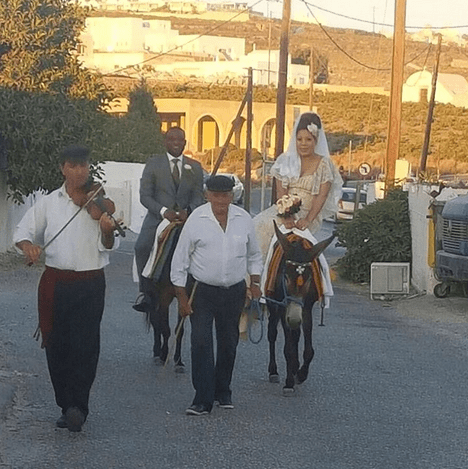 And Monalisa Chinda provided a glimpse at her dreamy nuptials with a photo of herself and Tonye riding a donkey on the street of Santorini while clad in their wedding dress. PRINCESS HALLIDAY CHANGES THE FACE OF LEADERSHIP IN AFRICA.